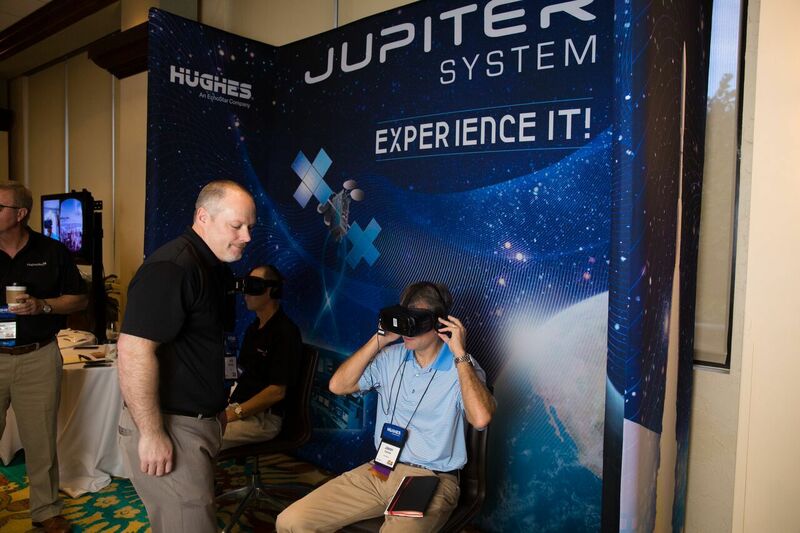 Hughes, an international broadband satellite internet company, wanted their employees, attendees, and stakeholders to experience the latest generation of satellite internet firsthand during their annual retailer summit. 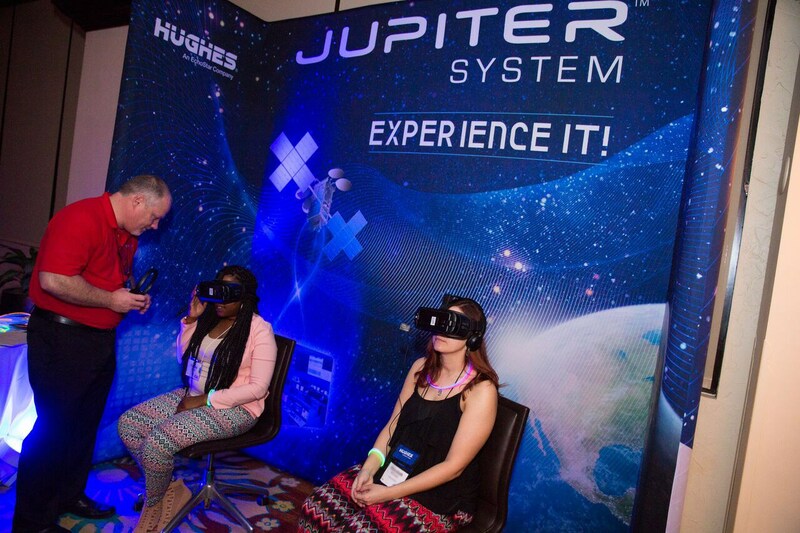 TTC was able to give the Hughes team an out of this world experience that would have been impossible without the use of Virtual Reality! 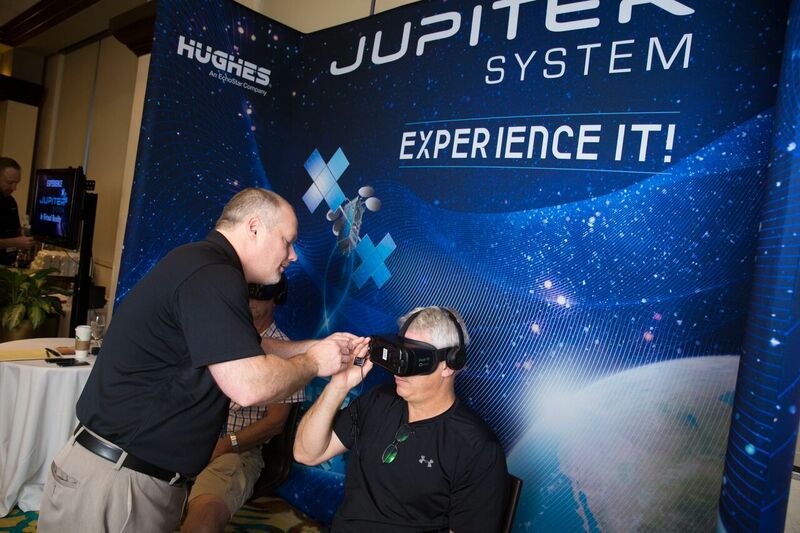 In this Virtual Reality (VR) demonstration, once the headset and earphones are placed on the user, they’re transported to the Hughes Network Operation Center (NOC) where they’re greeted by a Hughes executive who sends them off on their virtual journey. The user navigates the experience using visual cues to select where to go or what to view next. 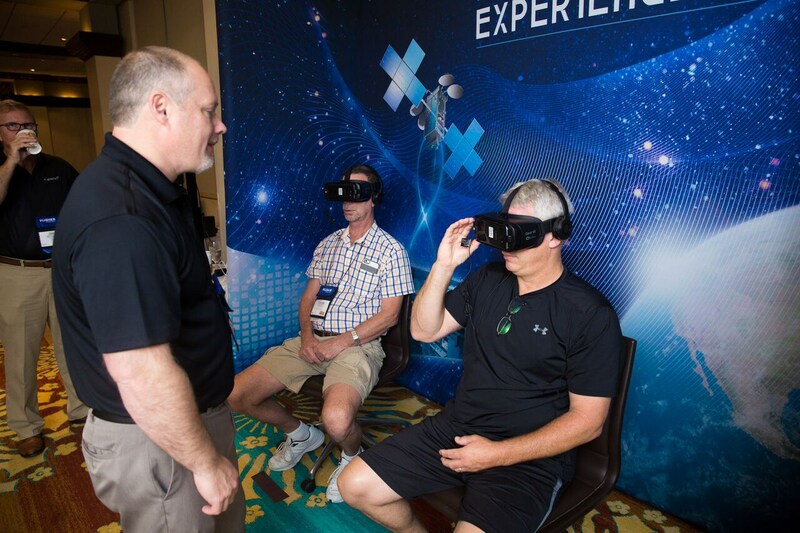 They can choose to watch a series of customized videos that appear along the screens in the NOC, or they can even choose to launch themselves into orbit where exact models of the satellites await. Should the user choose the space adventure (who wouldn’t?) they are immediately transported into orbit on a floating platform where they are surrounded by our beautiful solar system and positioned right next to the Hughes satellites with the earth directly below. 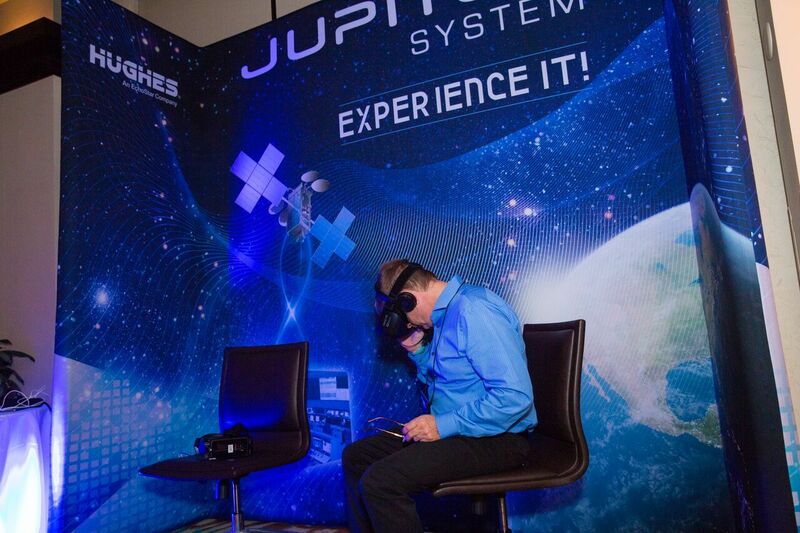 The immersive experience looks so real that it’s hard to fight the urge to reach out and touch the satellites. TTC programmers created this 3D environment to show exactly how the satellites target different areas of the earth. One of the many impressive artistic touches of the spacewalk was watching your position in relation to the sun gradually change as it continually cast a new angle of light on the earth. 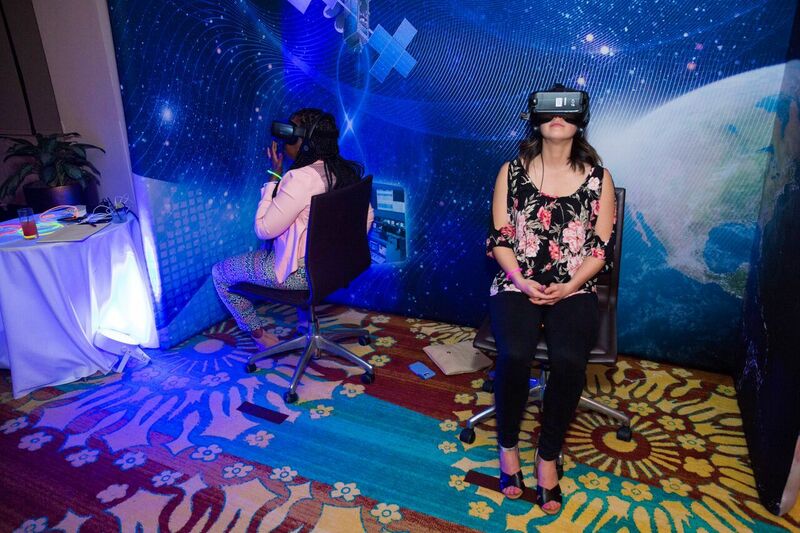 VR can be deployed using a variety of platforms including the Oculus Rift, HTC Vive, and many mobile platforms. 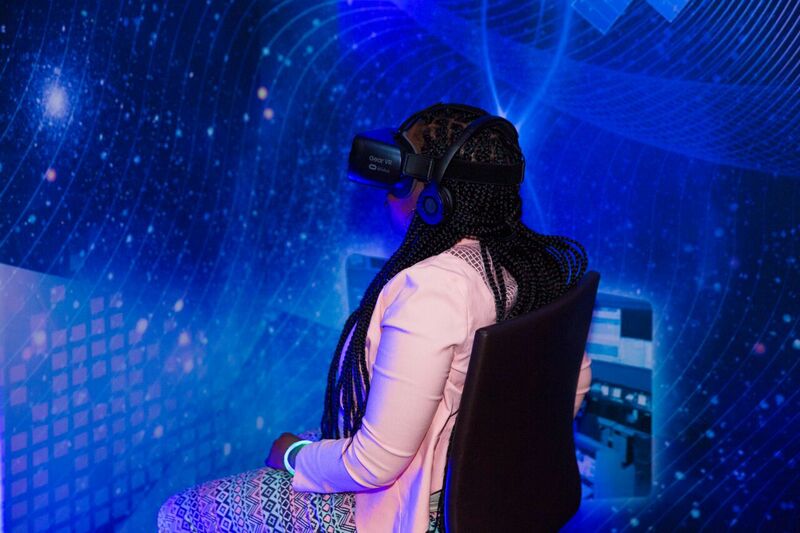 For this installment, the TTC team decided to use the Samsung Gear VR, a mobile virtual reality platform and completely portable system. 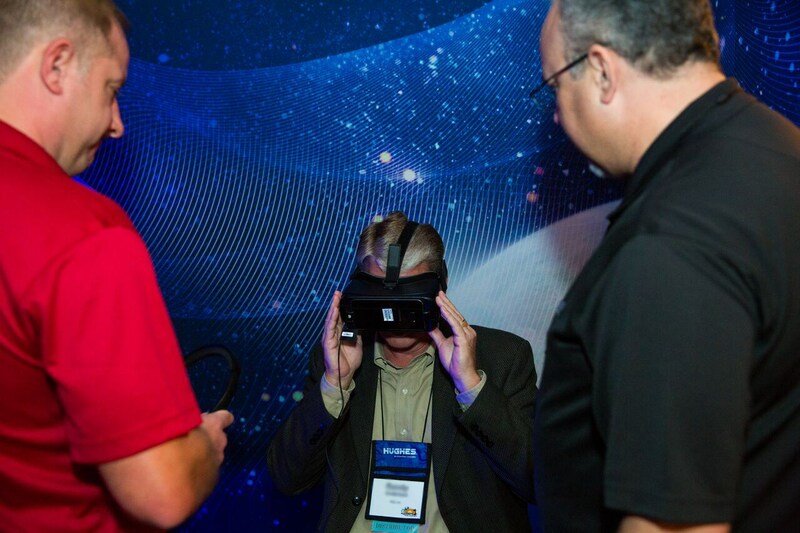 The simplicity and portability of this VR technology allows for ease of transportation and the ability to use it anywhere at any time. It’s one thing to see pictures or videos of satellites in outer space, but it is an entirely different and unique experience to feel like you’re actually there… in person… floating in geosynchronous orbit and looking down at the earth. 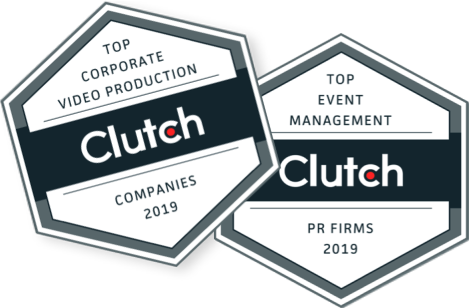 TTC harnessed our strategic creative process to create a virtual adventure that was educational, exciting, and a memorable experience for the Hughes team.